Underneath the fascinations of carbon nanotubes and graphene nanoribbons. Energy & Environmental Science, 2011; 4: 627-655. Discriminative generation and hydrogen modulation of the Dirac-Fermi polarons at graphene edges and atomic vacancies. Carbon, 2011; doi:10.1016/j.carbon.2011.04.064. Graphene nanoribbon band-gap expansion: Broken-bond-induced edge strain and quantum entrapment. Nanoscale, 2010; 2: 2160-2163. 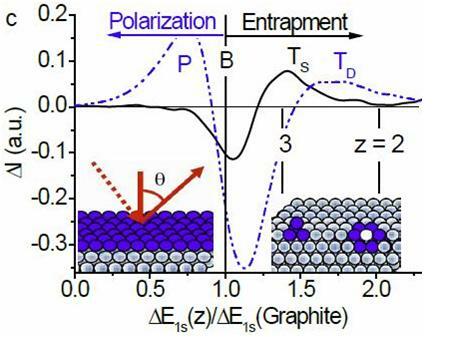 Dominance of Broken Bonds and Unpaired Nonbonding pi-Electrons in the Band Gap Expansion and Edge States Generation in Graphene Nanoribbons. J Chem Phys C, 2008; 112: 18927-18934. Coordination-Resolved C-C Bond Length and the C 1s Binding Energy of Carbon Allotropes and the Effective Atomic Coordination of the Few-Layer Graphene. J Chem Phys C, 2009; 113: 16464-16467. Dimension, strength, and chemical and thermal stability of a single C-C bond in carbon nanotubes. J. Phys. Chem. B, 2003; 107: 7544-7546.